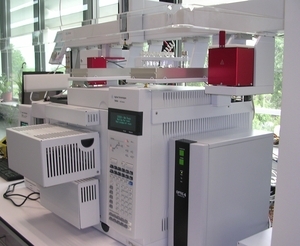 Founded in 1997, Unichrom is a specialized solution provider in the field of Chromatography and Mass Spectrometry. Our accumulated knowledge and experiences have transformed us from an instrument dealer to a customer-orientated application provider. We are dedicated to provide innovative and state-of-art automation systems. Our customized solutions, based CTC PAL basic platform and integrated with other well-known third party instruments or some of our own designed hardware and software, help our customers handle samples and get results in an efficient, economic and convenient fashion. From sample preparation, filtration, enrichment to sample injection, our convenient and high-sensitive tools support our customers completing their tasks while matching laboratory chemical analysis requirements nowadays. Our motto is “there is no limit to chromatography solution,” and we would love to share our experiences with all our customers.